Mixed rice varieties are made during festival season. 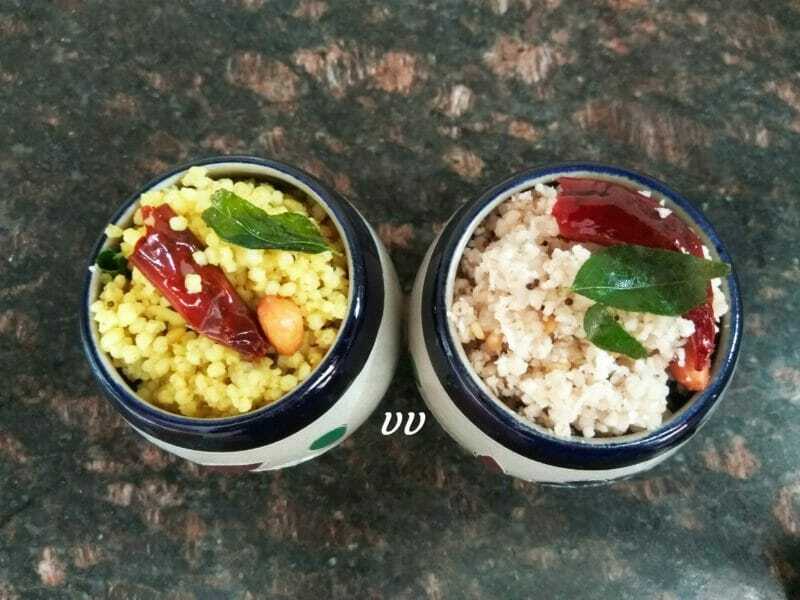 They are best suited for lunch boxes and can be prepared in a short time, if the cooked rice is ready. Little, Kodo, Barnyard or Foxtail millet can be used for these rice varieties. Mix all the ingredients given under each heading to cooked and cooled millet rice to make Coconut rice and Lemon Rice. Fried papad/Vadam, chips go well with these rice varieties. 1. Increase/decrease lemon juice according to individual taste. 2. 1 Slit green chilli can be added to the seasoning.